The new WT05 3/8" Square Drive Impact Wrench has an ultra-compact design for tight spaces and overhead applications. 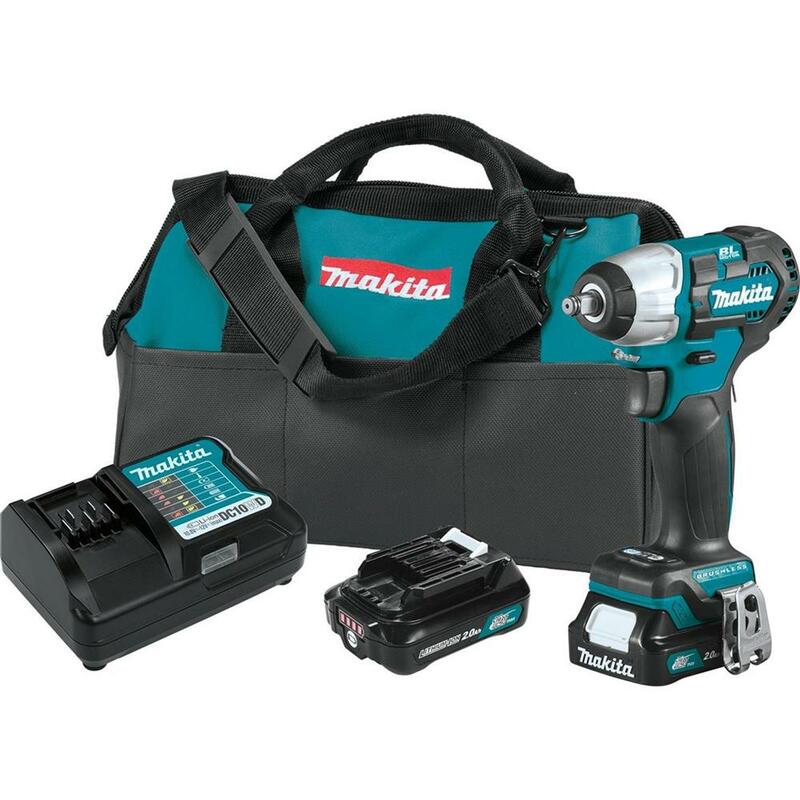 The kit (WT05R1) comes complete with tool, 12V max Charger, (2) 12V max CXT 2.0Ah batteries, and tool bag. March 19, 2019, La Mirada, CA – Makita® U.S.A., Inc., manufacturer of high quality industrial power tools and accessories, announces the launch of the12V max CXT® Lithium-Ion Brushless Cordless 3/8” Sq. Drive Impact Wrench (WT05). Ideal for maintenance, auto, and general use, the WT05 will be offered as a bare tool (WT05Z) and kit (WT05R1). The WT05 delivers power and speed in a compact size for efficient fastening and working in tight spaces and overhead applications. The 12V max CXT 3/8” Sq. Drive Impact Wrench weighs only 2.2 lbs. (with 2.0Ah battery) for reduced fatigue. Variable 2-speed (0-2,400 RPM & 0-3,600 IPM) serves a variety of fastening applications. Makita’s BL™ Brushless Motor delivers 120 ft.lbs. of Max Torque and 210 ft. lbs. of Nut-Busting Torque. Reverse Rotation Auto-Stop Mode stops rotation and impact when fastener is loosened adequately, which helps prevent over-loosening and dropped fasteners. With Makita 12V max CXT Lithium-Ion slide-style batteries, users get superior balance and ergonomics over pod-style batteries. For longer run time, 12V max CXT cordless tools are also compatible with the 12V max CXT Lithium-Ion 4.0Ah battery (BL1041B, sold separately). 12V max CXT Lithium-Ion batteries are engineered with a Battery Protection Circuit that protects against overloading, over-discharging and over-heating. It’s part of the expanding 12V max CXT series, combining performance with superior ergonomics in a compact size. 3/8” Square drive fits most common automotive sockets. Makita’s BL™ Brushless Motor delivers 120 ft.lbs. of Max Torque and 210 ft. lbs. of Nut-Busting Torque.